The ceremony was attended by a large number of 70 people from a spectrum of diverse religous faith groups including followers of Christianity, Judaism, Hinduism, Buddhism to name a few. The meeting was opened by the Director Genearal - Dr. Ahmad Al Dubayan, who expressed his happiness at the meeting. 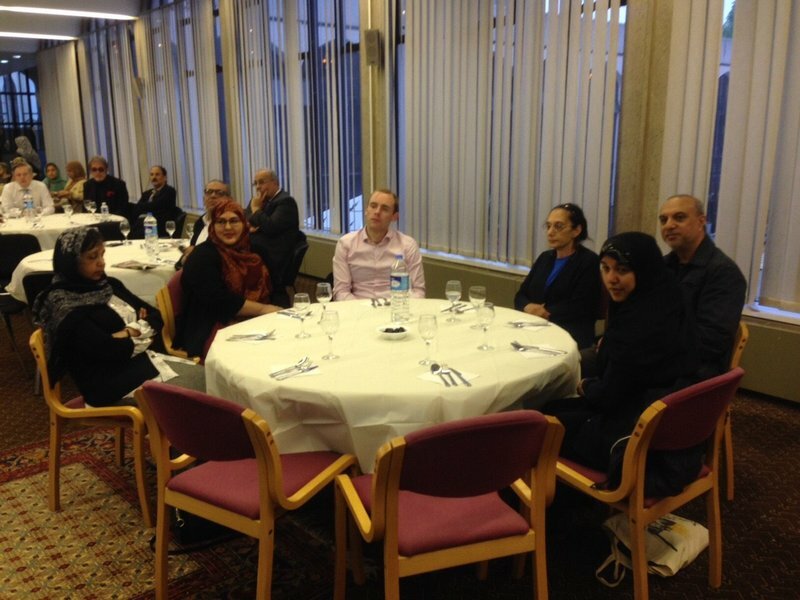 He explained to the audience some of the purposes of fasting in Islam and its significance and role in achieving faith and moral development. He welcomed the attendees and expressed the Center's mission in spreading tolerance and understanding of Islam. 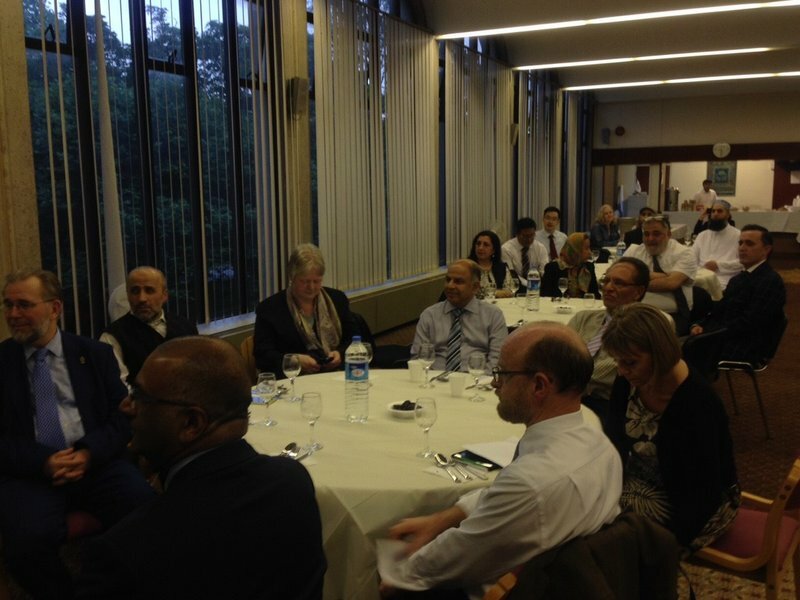 The event was hosted by Peter Bennetts - ICC Visits and Interfaith Coordinator; who also expressed his happiness with the gathering, he said that the goal is to understand the meaning of the holy month of Ramadan whilst sharing food together.. 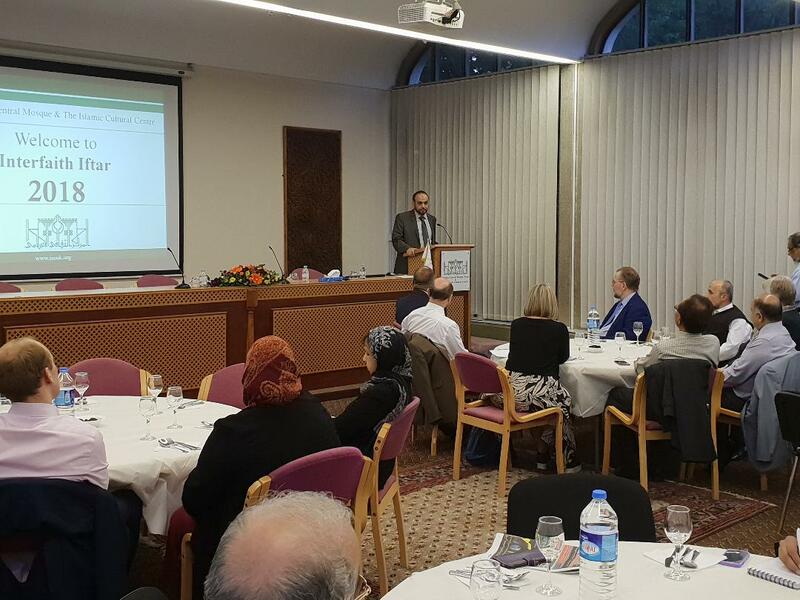 The participants thanked the Islamic Cultural Center in London for their role in serving the Muslim communities and introducing Islam to open the door to good relations, dialogue and relations within British and European society and appreciated the role played by ambassadors of Islamic countries. In London and they are the Trustees of the Center in achieving a cultural and dialogue vision of this important edifice.